A Gutenberg block from ThemeBeans that let’s you easily add pricing tables within the Gutenberg editor. Add the new Pricing Table block to your pages to create beautiful pricing tables in real time. There’s no need for complicated shortcodes and confusing interfaces. 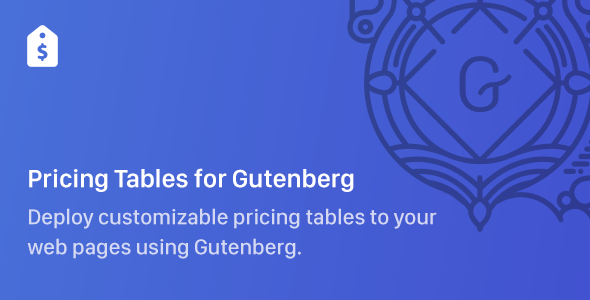 With the new Pricing Tables for Gutenberg plugin, you may easily add, customize, colorize and interface with the actual pricing table — right within Gutenberg. Adding pricing tables to your landing pages has never been easier.